Mom, I miss you so much. You are the best! See you later. You have our sympathy on your great loss..she was such a nice lady. So sorry to hear about your mom and grandmother. Please accept our sincere condolences. I am very sorry to hear of your loss. What a wonderful life she lived, all of the things, the changes she witnessed in 101 years. I wish you peace. 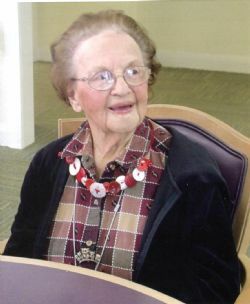 My deepest condolences to the family of Florine Heinroth AKA little Memaw. Even though I did not know her personally, she was everyone's memaw. Blessings to you and your family. Be well, Debbie. My deepest Sympathies and Prayers are with the Family during this time of bereavement. My condolences to all the family and may God comfort in this sad time.